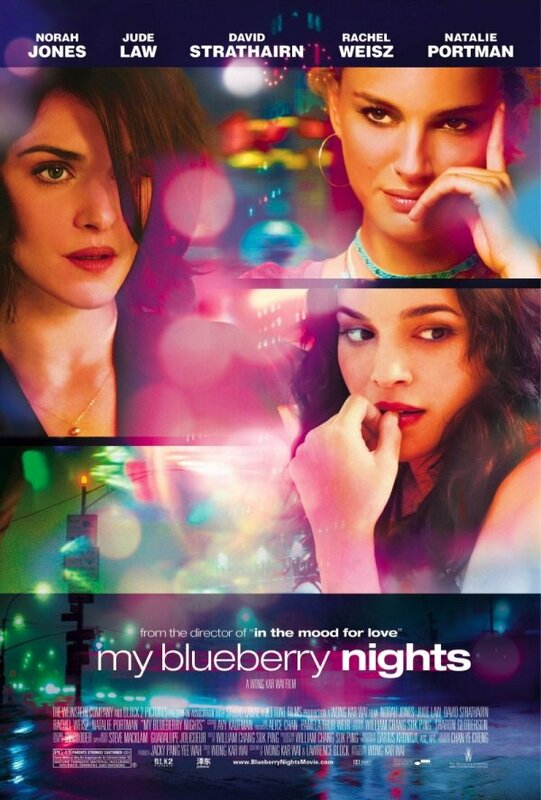 Wait, we are just now getting the final domestic version for the My Blueberry Nights poster? Seems like the first (international) poster was released ages ago. And the film itself premiered at last year’s Cannes Film Festival. It’s sure taking long for it to make it’s way to the U.S. Anyway, this poster is very similar to other posters we have seen before, especially to the U.K. quad. Bight colors all over and the faces of some of the members of the stellar cast. Even the photos of the cast they used are the same. There are some differences tough. The colors for one. They seem slightly softer in this new poster. And instead of emanating from lines, which created a neon lights like effect, they are now more diffuse and appear often as small circles of color. Can’t say I like the change. I think the poster loses some of the warmth and sensuality it had before because of it. Another difference is the title treatment. Most of the posters before this one used the same strong and rather memorable title treatment. The new one is very subdued and is actually a little hard to see. Once again, I’m not happy with the change. The other main difference is the choice of which actors to highlight in the poster. And here I have no problem with the choices made. Although I do feel bad for Jude Law, whose star is apparently very down. It’s still an appealing poster, but I much prefer the versions we have seen before. I love this poster. I don’t know what I’m more excited for – the movie or the soundtrack!